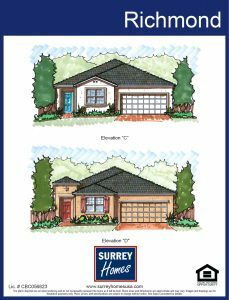 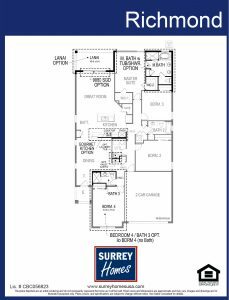 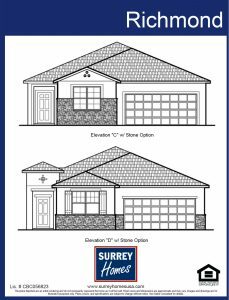 The Richmond floor plan by Surrey Homes is a single-story home that offers a front facing 2 car garage. 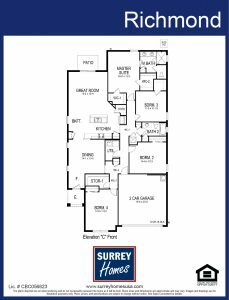 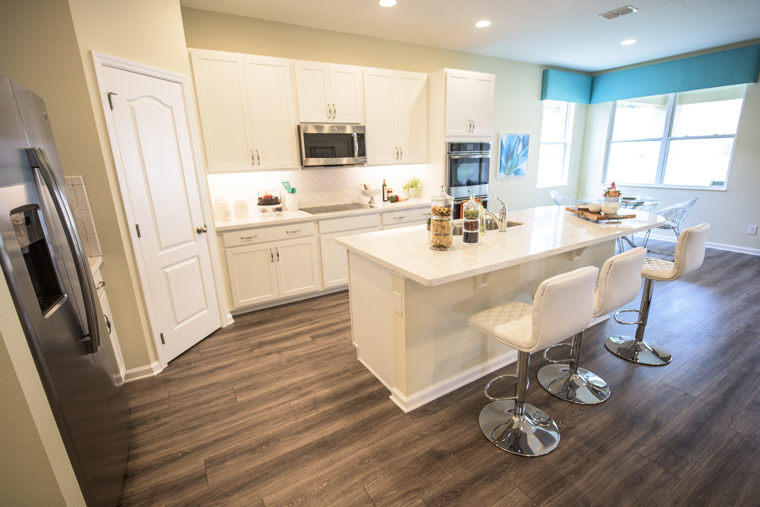 As you enter this home you will walk into the dining room attached to a spacious kitchen. 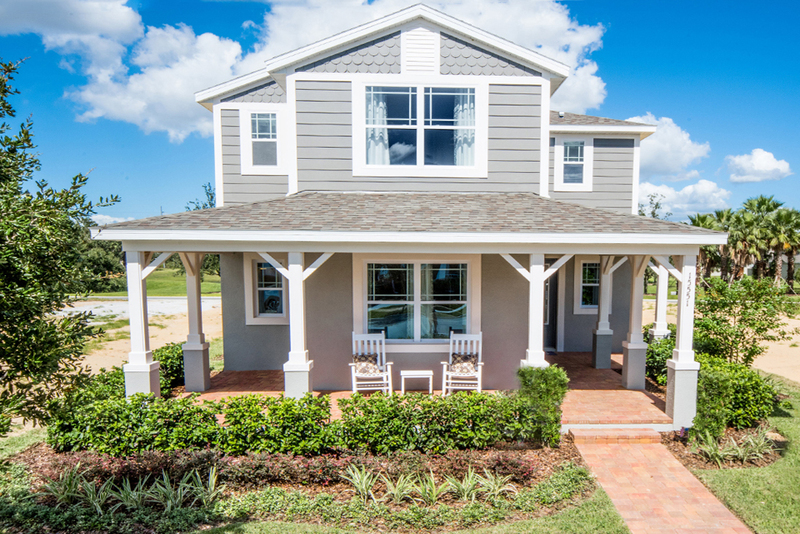 This plan boasts a working island, attached breakfast area, and attached great room. 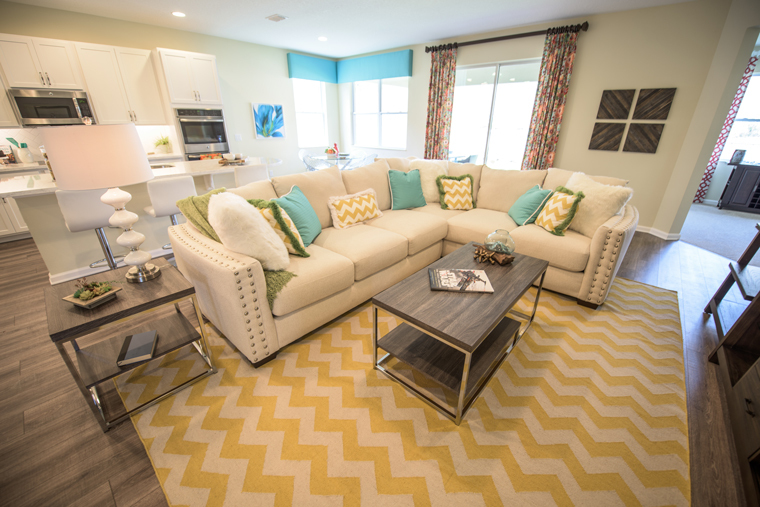 The great room features a sliding glass door that leads to a patio that can be extended to a lanai if desired. 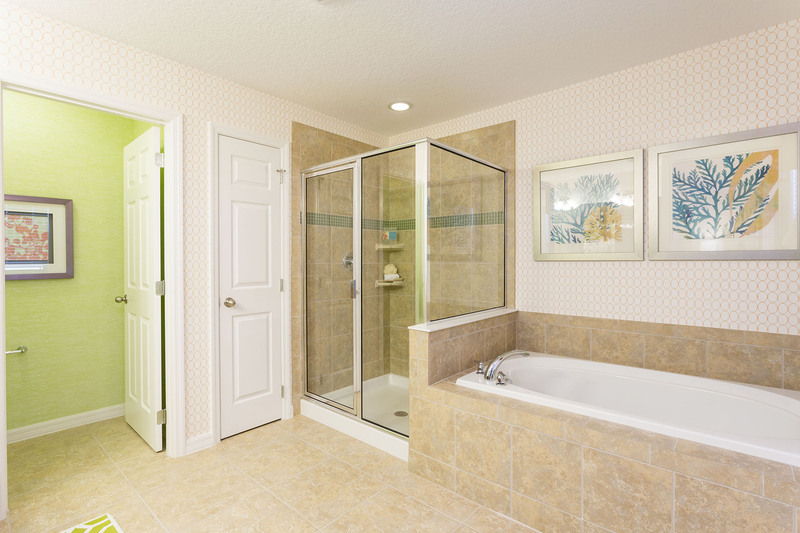 The Richmond II features a spacious master’s suite downstairs with two large walk-in closets, adjacent bath with dual sinks and two showerheads, with option for a soaking tub.